Flashback Friday #2 doesn't go back quite as far as last week's post. 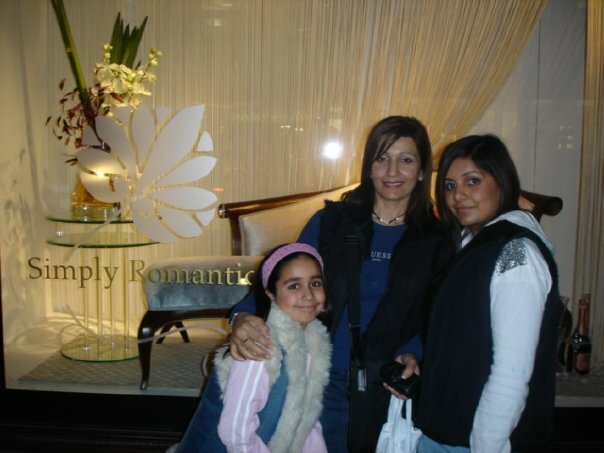 Here are a couple of pictures of me, my Mum, my brother and sister at Harrods as part of my 13th birthday. I'm not sure who the random person is in the background - but looking at him does make me wonder how many people's special photos I have accidentally found my way into over the years! I was so excited to go, I can't remember if I'd ever been before this but this trip was very memorable. My Mum treated me to my first ever product from Benefit Cosmetics - Dr Feelgood! I've actually considered re-purchasing it recently, it's a lovely little product. 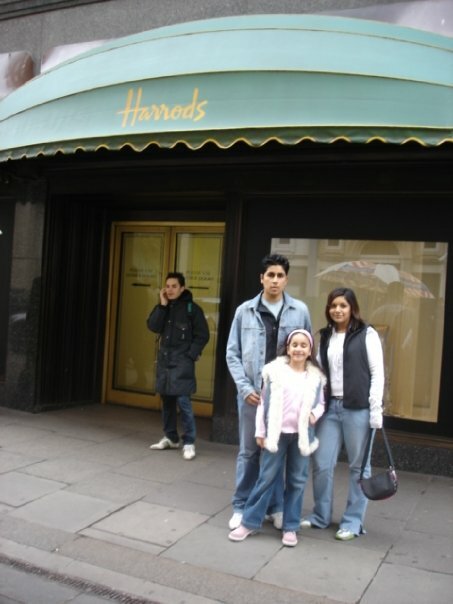 I particularly like looking at these photos because 13 year old me had no idea that a few years later I would be working in Harrods! Oh how times have changed, now I wouldn't be caught dead in flared jeans (with little side splits) and trainers, especially not at Harrods!